Latest Trends in Car Audio & Entertainment - Muscle Cars Zone! Technology is advancing faster than ever before, impacting every industry under the sun. Nowhere is the pace of change more evident than in the automotive sector. The cars of tomorrow will make current automobiles look as old-fashioned as the Model T. So what will the cars of the future look like? We can get a glimpse by examining the cutting-edge technology in car audio and entertainment that`s already on the market and imagining where things could go from here. Almost every new car comes with a large touch screen display that controls everything from the stereo to climate control and GPS navigation. 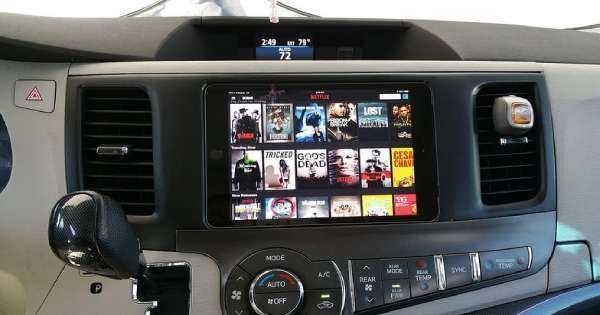 The most advanced systems feature tablet-sized screens up to 8″ or 9″ and digital dashboards (like those found in Audi`s “virtual cockpit,” or the Mercedes COMAND system) to display speed, mileage, fuel, navigation, etc. Expect the screens to keep getting bigger as self-driving technology continues to advance. “Drivers” will increasingly become passengers in their own vehicles, more or less, and the infotainment screen will become central to the whole transportation experience. Cars of the future may not have a driver`s seat at all, with layouts that are more like little limousines, complete with a 4K flat screen TV. Car audio may soon evolve beyond speakers altogether. The Ac2ated Sound system by Continental uses actuators to vibrate the vehicle`s body panels, turning the whole car into a resonant chamber that makes you feel like you`re sitting inside of a speaker. The computers in our cars are starting to catch up with the computers in our pockets, and now they can talk to each other. Onboard software, like the Uconnect system from Daimler Chrysler, enables you to sync your car up with your smartphone. You can then lock and unlock your doors, start your engine, track your vehicle, and send directions from your phone to your car`s navigation display. Don`t worry—most car makers also offer tutorials and guides for how to use all this fancy new technology when you purchase your car. Expect the bond between smartphone and vehicle to only grow stronger. Keys could become a thing of the past, as your phone and your car become seamlessly connected. Another feature that is fast becoming ubiquitous in new cars is voice-activated AI. Most cars rolling off the assembly line, all but the most bare-bones models, come equipped with Apple Carplay and Android Auto. So people everywhere are now asking their cars to check their calendar for upcoming appointments, find directions to the nearest sushi bar, or play Ariana Grande`s new single. As AI continues to develop and self-driving technology comes online, cars will become capable of doing more and more. They won`t just look up directions, they`ll drive you there. They won`t just dial the number for you, they`ll actually call and schedule an appointment, make a reservation, pay your gas bill, etc. Soon, the friendly voice-activated AI will be your chauffeur, your secretary, personal assistant, and more.